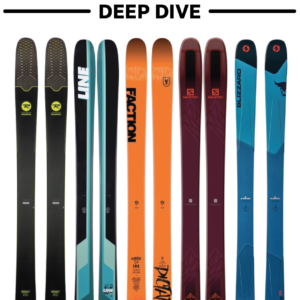 In addition to my review of the 184cm LINE Sir Francis Bacon, the Bacon has made appearances in my One-Ski Quiver Selections, my Two-Ski Quiver Selections, and the 1st Blister “Best Of” Awards that debuted early this season. 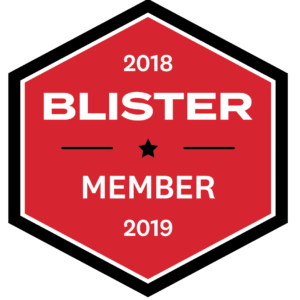 References to the Bacon can be found in countless other Blister reviews as well, even in Jonathan’s review of the metal laminated, 98mm underfoot, Volkl Mantra. It’s incredibly versatile, much more so than anyone would expect from a ski designed to “jib,” with a mount point only a couple cm’s behind true center; it provides adequate edge hold and is incredibly energetic from edge to edge, making carving the ski an exciting experience; the ski’s flex is well balanced and progressive, allowing for easy butters and predictable takeoffs, while still being supportive enough to romp through Alta’s tracked up powder and stomp decent sized airs into variable conditions. In all, the Sir Francis Bacon tackled nearly everything I threw at it while always seeming to elicit a big smile on my face: trees, jumps, bumps, pow, chop, soft, firm, whatever; always predictable, always fun. There were only a couple small limitations of the 184 SFB. First and foremost, at the time the 184 (180.5cm straight-tape-pull) was the longest length available, which probably limited the fun to be had on the SFB to lighter/shorter skiers, or those at smaller resorts. Second, that enthusiastic rebound and short side-cut radius of the ski made it a little twitchy feeling when skiing fast in variable firm snow. So Line decided to produce a 190cm SFB (187.7cm straight-tape-pull) last season, and I’ve finally had some time to ride it. Given that I reviewed the 184 Sir Francis Bacon not so long ago, I won’t add much general information. Line still calls the SFB, “Eric Pollard’s award winning quiver-of-one,” and claims that it is “as much fun throwing tricks into powder as laying down switch carves and butters on the hardpack.” These statements hold true for both the 184cm and the 190cm lengths. There are a couple distinct differences I felt between the 184 and the 190, but they are mostly good differences. These variances primarily address exactly what I had found to be the only shortcomings of the 184, and will likely impress those who were wishing for a longer SFB. Where the 184 SFB is lightning fast due to an incredibly light swing weight and very energetic flex, the 190’s have a much lower key feel to them. Swing weight is not cumbersome by any means, but the difference is noticeable between the two lengths. For me, the 190 also behaves more like a GS ski while carving aggressively on groomers, while the 184 feels more like an energetic slalom ski. The sidecut radius of the 190 feels noticeably longer (20 meters vs. the 184’s 18 meters) and the ski doesn’t pounce from turn to turn. The attributes responsible for these differences in on-snow feel can likely be found in the dimensions and flex. First, width dimensions remain the same for all lengths of the SFB; this translates to a longer sidecut radius than the stated 18 meters of the 184cm for the 190. Second, the 190 SFB has a noticeably stouter flex pattern than the 184 SFB. The flex pattern does keep the favorable progressive nature of the 184, and that flex ramps up pretty substantially underfoot. While these differences may make the 190 SFB a little less exciting at times for someone my size (6’, 160lbs), the longer ski definitely provides a larger sweet spot and calmer ride whether in powder, chopped up variable, or hardpack. For skiers like myself, the 190 SFB provides a better platform than the 184 for more aggressive off-piste skiing, while retaining most of the playfulness of the 184 in natural terrain. Jason Hutchins on the 190cm LINE Sir Francis Bacon, Alta Ski Area. More importantly, I am convinced the 190 SFB will certainly provide larger skiers a useful, intuitive, all-mountain, jib-friendly tool, that won’t fold up nearly as easily as the 184 SFB or many other playful skis in the upper 180cm length, and will provide a larger landing zone for bigger folks. I would consider myself to be on the fence between the 190 and 184 lengths. Personally, I love the 184’s energetic feel, but also love the added bit of stability found in the 190. If it were up to me, I would love to see more energy out of the 190 SFB. The 190 also seemed to lack a bit of torsional rigidity when pushed hard in steep, rough, firm conditions down Taos’s Zdarsky. My main complaint was the lack of crispness when I wanted a quick edge set and release in a tight spot. Here, the ski just felt a bit sluggish. I’m not an engineer, but both of these characteristics seemed to have been addressed in other skis with some strategically placed carbon. Although the SFB isn’t as dead easy as the Rossignol Soul 7, it does provide a very easy, intuitive, and predictable ride. The near center suggested mounting location keeps the Bacon quick and balanced feeling, even in the 190cm length. Because of these characteristics I wouldn’t be apprehensive of going with a longer length than you usually ride in a “traditional” non-rockered, directional ski. Also remember that the Bacon actually measures much shorter than the stated length. If you’re around “average” adult size (~145-175 lbs., 5’6”-5’10”) and an advance level skier, I would find it really hard to believe you would want to go shorter than the 184cm. Intermediate level adults and smaller individuals should probably size down to the 178, or the smallest 172. Larger adults (roughly around 180 lbs. and up) looking for a playful ski, or advanced level averaged sized adults looking to ski aggressively in difficult terrain while also playing on certain terrain features, will love the 190cm option. For some reason, K2 / LINE decided to add another “recommended” line (at -6cm from center) to the SFB for 13/14. Having skied at that line, I would highly recommend not mounting at that location, or anywhere near it. In fact, I think we should all join forces and write on every SFB in every ski shop, “Do Not Mount Here”. There are absolutely no favorable attributes gained by mounting the SFB that far back. Tip dive is not substantially reduced, but all other qualities do take a serious nose-dive. At -2.5cm the ski flex felt perfectly balanced under my 328mm-boot-sole-length Rossignol Alltrack Pro 130’s, and this location provided the best mix of playfulness and all-mountain ski-ability. If there is one ski I’m confident that everyone will feel best at this “progressive” of a mount, it is on the Bacon. As a directional skier who’s got ~25 lbs. on Jason and has spent at least a little time on everything he references here, I’ll just say that I agree on pretty much every point in his review. 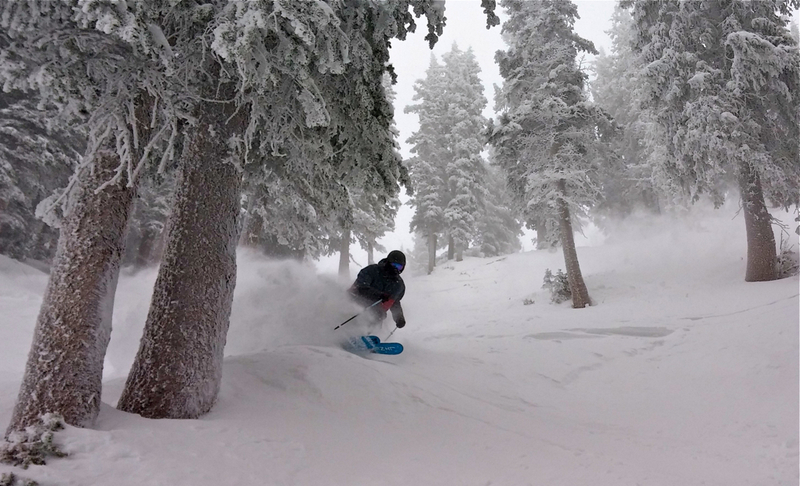 Had a really good time on the 190 SFB last weekend skiing all over Taos. I’d love to hear your thoughts about this ski in contrast to the new blizzard peacemaker. You will hear those thoughts very soon: probably just a couple weeks at the most. I have been riding the Peacemaker for a little while now and have been quite impressed. Love seeing the Sickle still holding down the #1 spot ! Mine have just NOT been used near enough..
Maybe just a quick few words, or your initial opinion? Apologies for highjacking the thread. Indeed, there will be an Alltrack Pro 130 review coming soon. Fit will always be the most important part of any boot, so get your feet in a pair. Jason. How does the 190 compare as a relative “charger” to the sickle? Loved your anecdote about the sickle anhilating chicken heads off rustler. How would the 190 compare to this capabability of the sickle? 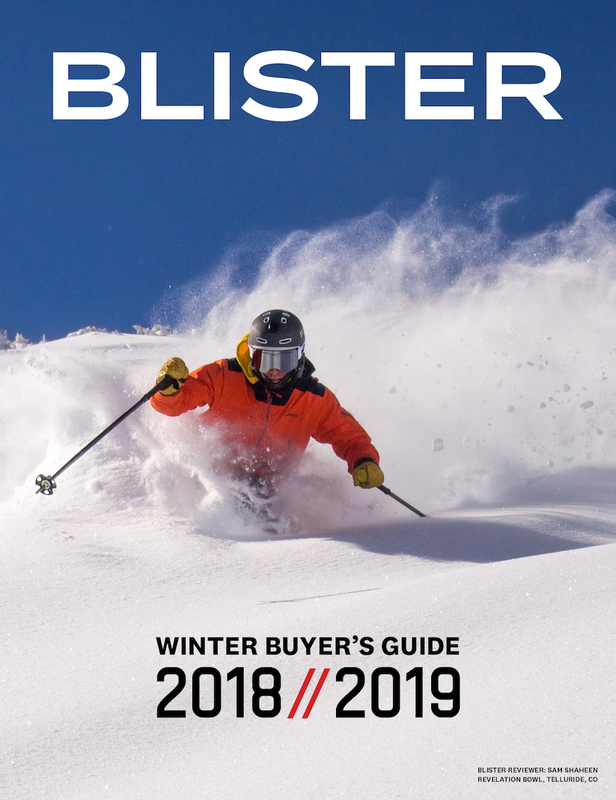 If you are looking for a Sickle replacement and are concerned about “charging” (yes, a relative term with most of these skis) in firmer conditions, I’d take a very close look at the 186 Blizzard Peacemaker before the 190 SFB. The review of the Peacemaker will be coming soon! This is the reply I’ve been scouring Blister for! Since it seems you helped start a cult following of sorts, any chance of doing a little roundup of Sickle replacement candidates? In my case, looking for a bit more float (definitely not any less), would sacrifice a little playfulness (hopefully not much) for that “chargability”. Blizzard Gunsmoke? Other contenders? I’m 5′ 7″ and i’m an advanced skier. Would the what would be a good size for me? I am 6’2″ and 200lbs. I have only ever ridden the older model of the SFB with the 115mm waist in a mid 180s length. I am an advanced skier but wouldn’t call myself a charger compared to most other skiers looking at this type of ski. I really liked the playfulness of the 184 length but I am wondering if the 190 would make more sense for me in this ski. My biggest concern with going up is that I do not want to lose the nimbleness in the bumps and trees, what are your thoughts on this? I am going to try and demo both lengths before making a decision but would like your input on the pros/cons of each length for someone as big as me. Thanks. Mounting location on the SFB got some comments following your review of last year’s ski. One unclear issue is what “CENTER” means. On my 190s, the “CENTER” mark is about 2 cm behind the true midpoint of the ski. Some folks have concluded that this is a misprint of the graphics. But I saw another post which makes the argument that the “CENTER” mark instead relates to sidecut/camber shape, and that the mark is right where it should be. The “ERIC’s CHOICE” mark is 2 cm behind “CENTER” mark, or 4 cm behind the true tip-to-tail midpoint. Now, if “CENTER” is supposed to refer to the actual physical midpoint of the ski, then the graphics are off. However, if “CENTER” refers to ski shape, then the graphics are presumably correct, and the “ERIC” line is where it is intended to be. I would like to measure for myself before drilling… Can you confirm one or the other? Thanks. I’m working on an official word from LINE right now. My test skis do not have the production top sheet, and the “center” line was drawn on the ski by an individual at LINE. That mark is at the true center of the ski, ~ 93.8cm from tip or tail. As I mentioned in the review, the LINE website says “Eric’s Choice” is at -2.5cm from center, and that is where I ended up after having tried many locations from center all the way back to the new “recommended” line at -6cm. It’s also confusing how the measurement is done. The spec sheet from the LINE web side says to measure “from tail along base” which presumably means under the ski. They give a number of 933 mm from the tail, which is directly under the CENTER mark on my ski. As noted, that CENTER mark is not true center, and measures 972 mm from the tip. Interestingly, when measured this way, the total length of the ski is 933 + 972 = 190 cm! The official word from LINE: “Eric’s Choice” should be 919mm from the tail of the ski. That is a “straight tape” measurement from the tail, not measuring along the bases. There was an issue with the graphic placement on some of the 2014 SFB’s, and you may find that your “Center” line is actually at this 919mm from tail measurement. Whatever the case, measure it out, draw a line with a sharpie, mount em’ up, and go have fun! Excellent, thanks for the research, that’s a huge help. I actually picked up a brand new unmounted pair of 09-10 186 sickles and was thinking of selling them and getting a 190 bacon if the bacons were chargier. I’m 6’4 200 lbs and was thinking a chargey 190 bacon would be the longer sickle I have been looking for. was thinking of getting these skis, only because I want an “all-mountain” ski, & this one seems to fit the bill. I used to be a charger in the 80’s, but didn’t ski for 24 years, so probably more of an “intermediate-advanced cruiser” these days. Not into jumps any more, but love the powder & the occasional foray into easy moguls. Is this “too much” ski for someone like me? I used to ride 195’s in the 80’s, tried some around 167-170cms last year, & thought I’d follow everyone’s advice & go longer with these skis (i.e. 178cm length, I’m 174cms, or 5’8.5″). I’m currently undecided on what ski is best for me. I would say I’m a somewhat advanced skier. I’m also 6′ 3″, weighing 200lb. So I feel confident that a 190 length ski is right for me. I love to ski tight trees and glades and also go all over the mountain so an all mountain oriented ski is what I’m looking for. The bacon really seams like the right ski but I’m also curious how it compares to the Moment Exit World. That ski is based off the old Bibby (which has been chosen by many as a great one ski quiver). The reviews of the bibby/exit say it’s also very playful but maybe not as good as the bacon in tight trees because of its size. But then I wonder if because I’m a bigger guy I wouldn’t have as much trouble convincing a ski that width to make quick turns in the trees? Hey I was looking at these skis for skiing up in Colorado. I really want a one quiver ski and wondering how well these would work for me. I also was looking at the k2 Shredittor 112 and how they would compare. Thank you so much. My only question is what do you think of the 190 SFB as a backcountry/ short touring ski set up on some dukes or guardians? I’m 6’4” 185 pretty solid skier and stepping up my huck it game. Hey I love your review it’s so helpful! I had one question, how would the SFB compare to the K2 Shredditor, and the Sick Day 110? I would love to hear what you have to say! Thanks Mark! Appreciate all your insight! I am 48 yrs old 6’1” and 235 pounds (former Marine who refuses to grow old or grow up LOL). I took up skiing about 7 years ago and am hooked! I am a strong intermediate not quite advanced, I am predominantly a resort skier I like to ski groomer, low angle tree, open bowls, as well as occasional steeps and I am a novice in powder. I ski in the Sierras, mostly Heavenly and Kirkwood and I take a yearly trip to ski back to my old stomping grounds in New England so, like most I am looking for a “do it all” ski however I am considering a two ski quiver. With that said I would like a ski that is playfuI fun and easy to ski to to speak as I’m not really a charger. I’ve have narrowed my choices to the Moment PB&J in 188 length and as the second either the Moment Deathwish in the 190 length or the Line Sir Francis Bacon in the 190 length as well although based on your review and from people I have spoken to I’m leaning more towards the towards the 190 bacon. I am currently on a pair of 184 Mantras, what are your thoughts? Also curious about the Line Supernatural 108 your expert advice and opinion is appreciated! Jason: Wonderful review. I am trying to choose between the SFB and the Ramp Peacepipe. I am 5’8, 160 lbs and 61 yrs old, but ski very aggressivley and almost always at Mad River Glen unless I am out West. Usuall chasing my 21 yr old son through the trees. I have tried my son’s Peacepipes in untracked and barely tracked powder in a 179 and loved them until I got into some very tight technical lines where it felt just a bit too long for me, but the 169 may be perfect. I notice that has a 14.4 turn radius so short quick turns, a necessity at MRG, should be easy. I have not had a chance to try the Bacon as yet but have several acquaintances that love them. I would be intersted in your thoughts/comparison of the two. I already have a Fischer Motive for mostly on trail and on older Prophet 100 which until nos has been the “powder” ski, but I was blown away by the floatation of the Ramps…. Looking for a nice soft snow ski for the few powder days we get that I can actually take advantage of. thank you! love to read accounts like yours, I’m 5’8″ and a half, 155 lbs, turning 61 in July! I used to ski aggressively in the 80’s, but gave up skiing when I moved back to my hometown, Perth, Oz, looong way from the snow. Started again in Whistler in 2012, now looking at buying my first set of skis in 25 years. A Canadian ski instructor I know, similar vintage, said that for my height, weight & ability (probably intermediate now, but working my way back to advanced, been training at the gym in preparation for ski trip to Whistler in March), I should be looking at 84-88mm wide skis for an all-mountain 1-ski quiver, 90mm max. He said they’ll float me just as well as a wider ski will float a big guy. He said: they’ll be gentler on the knees & you’ll look like you’re carving on the way back to the lifts, unlike a lot of people on fat skis, who think they’re carving but don’t look pretty. 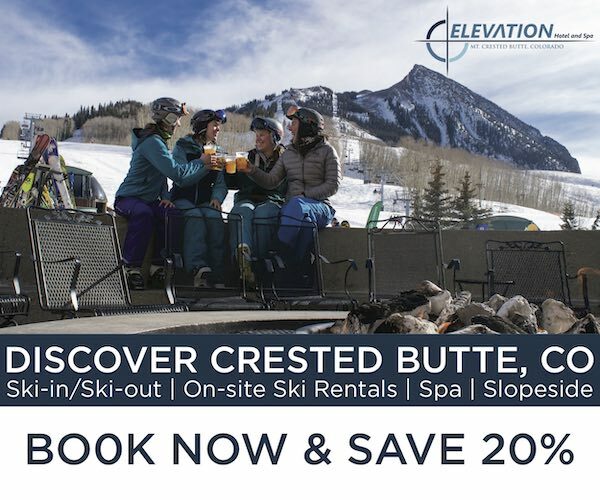 Hi Mike: Thanks– If I were looking for one ski to do it all, at leat at Mad River, I would probably be on the Line Prophet 90 or a similar ski. That width can handle the days spent on trail and also venture off in moderate powder, which when we are lucky is what we get. This year I skied for the first time on a new but 2 yr old model Fischer Motive 88– the first Rocker tip ski I ave owned, and fell in love with it– the ease of turn initiation is just remarkable. I also own a pair of line Prophet 100 2011 Vintage- a superb all around ski that floats really well– or at leat I thought so until I got on my son’s Peacepipes. In the lower angle powder these skis were effortless–absoluteluy amazing I just thought turn and they turned. The rocker tip and 112 under foot kept the ski right on top where my Prophets were sinking just enough to give me trouble. It was a real revelation. It was only when the pitch got closer to 35-40 in a very tight line that I felt the 179 was a bit too long. So your Canadian friend is correct– to a point, but there is no denying the physics. hey, we have even more in common!! I first tried skiing in the late 70’s, in Kashmir, when I was 25 or 26 I think, then got into it seriously when I was 28 and a half. Only difference is that I took 24 years off, so I’m guessing your skill levels have far surpassed mine! Dropped skiing & got back into surfing when I was 35. Yeah, couldn’t give a rats’ either how I look, but I see K’s point. Always preferred the “attack-style” in the 80’s, when lots of the European skiers (France was where we did most of our skiing) would be trying their hardest to keep their feet glued together. Pretty funny when they hit an icy patch. It’s a tough call, in my 10 days of skiing since I took it up again, have only had one day of heavy crud in Japan, & only tried fat skis (Liberty Helix, 105 underfoot) once. It was pretty hard, borderline icy going back to the lift, so didn’t feel all that comfortable on the Helix’s. I’m going to try the Armada TST in the 174 when I get to Whistler. 101 underfoot, & all reviewers reckon it’s a “true 50/50” all-mountain ski. I’ll try a couple of 90mm wide skis too, hoping to get some powder & work out what’s going to suit best! Thanks again for the comments, & happy skiing! Going to bed, it’s 11:50pm here, and 28 Celsius (82F), bloody warm!! I have a bit of a dilemma and was hoping you could shed some light? This past season I skied the Rossi Sou 7. I’m 6′ 165 and I skied the 180 length and it really felt to short for me. Certainly fine when I got into some tighter trees but skiing Mineral Basin or Honeycomb it just didnt feel like enough ski. I was skiing the Monashee’s a few weeks ago and we had some pretty difficult conditions with about 5″ fresh onto of really hard crust and the ski was not good at all. What I’m thinking about doing is dumping the Soul 7 and skiing the Line Mr Pollard’s Opus and the Volkl Mantra for a two ski quiver. I ski mostly at Snowbird and Solitude and get about 12-15 days on the hill. What are your thoughts on this or should I pick up the Sir Francis Bacon for a One Ski Quiver??? I am a directional skier that likes to pop off little features, cliffs, etc. and really charge down the fall line. Not really dropping anything big and definitely not landing anything switch so I just want to make sure I’m looking at the right skis. I was also looking at the Bent Chentler in the same class. 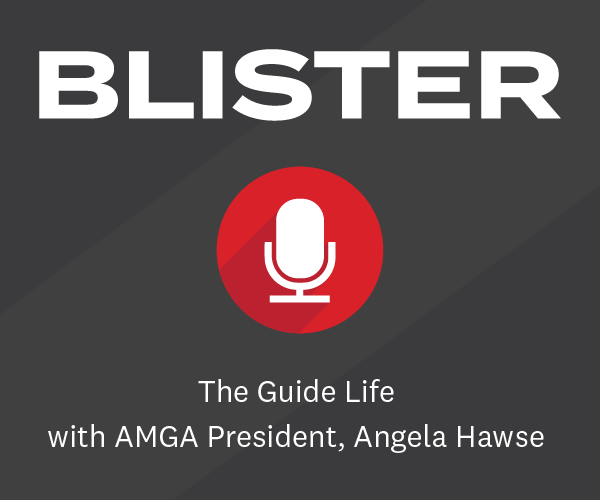 Thanks for all you guys do at Blister, by far the best reviews on the planet! Sorry to hear you haven’t been totally happy with your Soul’s. Unfortunately, I do think the 188 would have been more appropriate for you. We are about the same size and there hasn’t been a single instance I’ve wished for less ski than the 188. 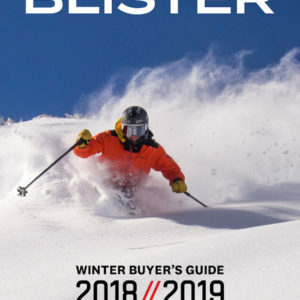 Given the description of how you like to ski, especially the directional and “really charge down the fall line.” aspects, I’m a little confused at the skis you have expressed interest in. The Mantra seems to fit, but the Opus, BC, and SFB are on the easy skiing, playful side of the skiing spectrum. So, would you mind sharing why you have chosen these skis? It would also be helpful to know which lengths you are considering. I guess my thought was they would provide a little more surf in powder and was thinking a more playful ski would be fun to mix it up. How would the SFB handle day after crud/bumps compared to the 7? I’m looking at the 184 in the SFB and 185 in the Opus. I’m also not unopposed to bumping up to the 188 in the Soul 7 if you think I would be happier there. Appreciate the advice. I’m currently deciding on whether to get these (probably in 190 rather than 184) over getting a newer pair of my 186 Gotamas that I love. I’d quite like to try a more playful ski but a bit concerned that these may be a bit unstable at higher speeds when compared with my Gotamas. What do you think? Great thanks for a detailed review! I am looking for a playful, easy-to-turn, freestyle-oriented ski and clearly understand that SFB is the right choice. Unfortunately I cannot buy it in our locals so that I would ask you to recommend me a reasonable substitute. I am 180 lbs and 5’10,8″ intermediate freestyle oriented skier. I am considering the choice will be among the first three and I am looking more towards Line Sick Day due to the limits in fresh snow (sometimes it is icy) and due to skiing on groomers sometimes. All in all I am looking for a one-quiver ski for a playful skier. Hi. I really like the sound of the sfb, however I ski in Europe which I think would mean more hardpack or ice than you have on the west coast. Would you still recommend the sfb for Europe skiing? I am struggling to choose between the SFB 190 and Opus 192 and was wondering if you could help. I am 20 years old 6’5″ and about 220lb. I am currently more of a traditional hard charger who is looking to start becoming a playful skier. Right now I’m skiing a lot with my family and friends and while going mach schnell on my 11/12 186 Influence 115’s is really fun, its not super fun waiting at the bottom for everyone to catch up. So because of that I am now looking more at something where I can slow it down, have fun all over the mountain, learn some tricks and pretty much screw around. What worries me about the SFB is that it will lack sufficient float on the deep days and what worries me about the Opus is its less versatile and less agile than the SFB to work in bumps and more technical terrain. First off, thanks to you and the site for all your help. I have a specific question about your review that gave me pause. You brought up a point about the sfb 190 lacking torsional strength to set an edge. The sfb ticks off a whole lot of boxes for me, but I’m concerned that I’m trying to put a jibby peg into a directional skiers slot. Does this ski have enough integrity and predictability to set an edge on a steep slope? Or is it meant to slide down the hill sideways? I’m a 46 year old directional skier and the same size as you. So after reading this, I ordered a pair of 190 SFBs. My other skis are Salomon Rocker2 90, 177 long. My question is, what do you think of the park performance of those two (very different)skis? The reason I ask, is that I live in Minnesota. I will of course take the SFBs out west, but the question remains for here at home. This season I would like to venture into the smaller terrain park here at home, as well as carve some firm groomers and do some slow speed moguls runs. If the SFBs do as good there as the Rocker 90s, I would mount tech touring bindings on the Rockers and use the SFBs for everything inbounds. Forgot to mention, I am 6’4″, 180 lbs, 40 years old, lower intermediate groomed skier, compete newbie in the park. I won’t be doing any huge air, just getting some air etc will be an accomplishment. Hi Jason, thanks for the great job you do here. I’m looking to replace a JJ 185 (which i totally loved), as my everyday freestyle ski, and i’m pretty sure i can’t go wrong with the bacon. Like you i feel i’m in between the 184 and 190, and unfortunately i’ve no chance to try it before buying. I’m leaning towards the 184 since the JJ too skied short and were fine, and i’m anyway covered for those super-deep days by an AK JJ (which is fine but i don’t like that much), but i’d would like to know what would you do in my place. Other skis include 3 Fischer FIS quiver for racing . Previously skied wood cored twin tip volkl karma and gotama all mountain beginning 2005. For my, more moderate speeds, they are very stable at speed on both groomers and in crud, plows through piles of snow. Pivots nice and easy, but still has decent edge hold on firm groomers. Not super loose in the limited powder I had it in so far, but with the width and rocker they are still good. Moguls seem fine, but I am a very poor mogul skier, so take that for what it’s worth. Based on my experience I recommend you go 184 not 190. the 184 will be better suited to swing in trees and bumps yet give you enough edge at speed in a variety snow conditions. I hope that helps! Great skis. I am 6’5″, 180 lbs and I have the 190s. I have very limited experience on different skis, and most importantly, I have skied the 184s, so take my comments with that in mind. I skied the, for 9 days last week in Winterpark, some powder, mostly crud and moguls soft snow and soft but skied out trees, ie moguls and bobsled tracks. I found the ski to be easy to bring around the fall line on firm snow, easy to smear, BUT not super loose in powder. In moguls I struggled with whipping the skis left to right very quickly. I am not sure how much of that was the ski and how much was me. I am naturally not a quick movement kind of person, and am only just learning mogul skiing, but I certainly didn’t feel the skis made quick movements super easy. As far as the question whether the 184 would be burly and stable enough for you, I can’t realy comment. Any idea when you’ll be reviewing the 2016 SFB? Saw the preview and really curious what your thoughts are once you get it on snow. How do the SFB Shorty’s compare? I am 6’1″ 220lb advanced-expert who usually skis Jackson. I ski off piste 90% of the time and love pow, steeps, bumps and trees. I rarely ski switch or the park. Based on your recommendation, I just bought the 2014-15 SFB in 190cm. I was confused about all of the on line discussions about the best mounting position, and called Line. They recommended that I mount my bindings at their “recommended” position. I know that you wrote that you tried that spot and hated it. Can you please explain it some more, and give me guidance? Bought the SFBs last season. Hard to explain but these are the worst skis I’ve had in a long time. If conditions were not perfect they feel very unpredictable. The shovels are very soft and if i tried to drive them they were easily over powered. Also the progressive flex in the ski also felt very unpredictable. Maybe i am just too heavy for these skis at 180lbs? I don’t test skis for a living nor have i tried more than a hand full of skis in the past couple years but i had my old Solomon 1080 moguls out for a local competition and i ended up skiing on them all weekend instead of the sfbs because even at a much smaller size they were much more stable and predictable. i would suggest anyone who is considering the SFBs to try them first! I ski the SFB 190cm, tried the same size Soul7 the other day. In big bumps, at slow speeds the Souls pivot and initiate turns much easier than the SFBs. Also, if you don’t turn and run into the side of a big steep bump, the nose rides up and over the bump much easier than on the Bacons, which are more likely to auger into the side of a steep bump. On open runs, at moderate and higher speeds Soul7s start to chatter much sooner, and they feel slightly more squirrelly than the Bacons. The tails of the Bacons provide more pop and spring for ollies.